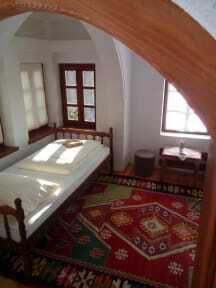 Guesthouse is located in city center, 400 meters from Muslibegovica House and many historical monument. Near to property is a lot of restaurants, coffees, supermarkets and souvenir shops. Shopping center Meppaas Mall is about 800 meters. Lovely Bosnian Home offers 6 rooms in total. Also, there you will find kitchen, common living room and bathrooms. All rooms have air condition, Wi-Fi and parking place for motorbike and cars. 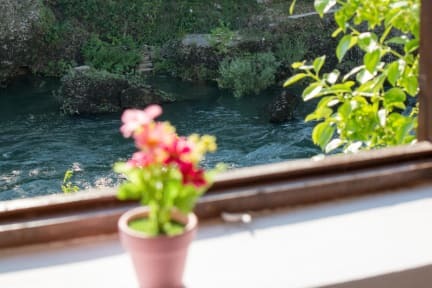 Guesthouse have nice garden and terrace with view on river Neretva. Hostel is about five minutes to Bus and Train station and few minutes from Old Town and famous Old Bridge. We also organize tour around of Mostar: Blagaj, Pocitelj, waterfly Kravice and Medjugorje and we have transfer to Montenegro and Croatian.